Within walking distance of the pristine waters of Lake Winnipesaukee, The Summit resort offers a convenient location and spacious facilities to host your New Hampshire Wedding. Our function room offers a full bar area and panoramic windows opening onto a deck with peekaboo views of Paugus Bay. 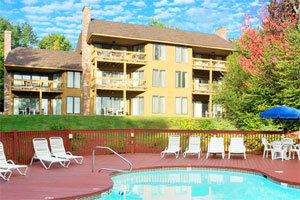 Picture your wedding day in the heart of New Hampshire’s magnificent Lakes Region. Our long standing partnership with Hart’s Restaurant provides you with full catering services including excellent food and attention to detail. 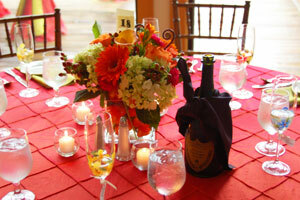 The Summit Resort has a catalog of some of the leading wedding service vendors in the area. Explore our preferred vendor page for some top recommendations on florists, photographers and more. If you are searching for a beautiful, centrally located wedding venue to express you love for each other, come see our facilities. The Summit Resort’s convenient location and surrounding beauty provide the perfect setting for your ideal Lakes Region wedding. To schedule an onsite appointment please call 603-366-4896 or email our wedding planner at sue@summitresortnh.com.